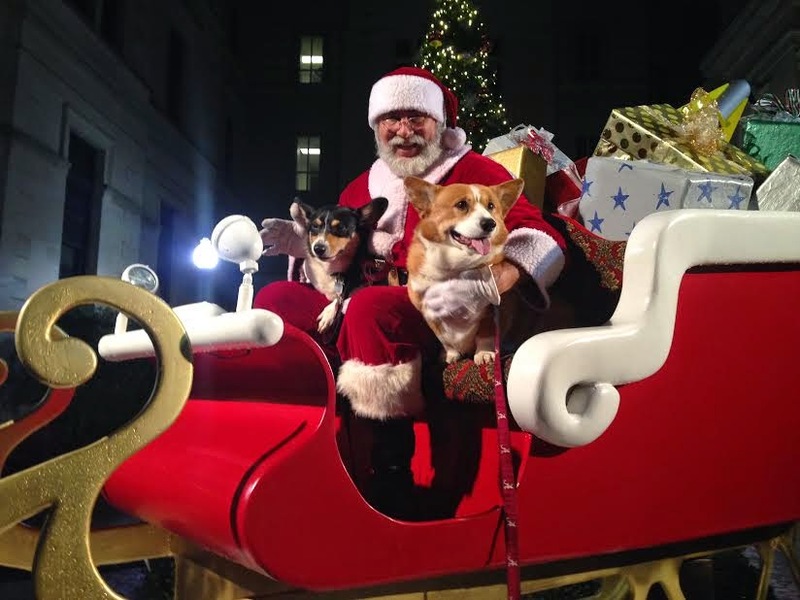 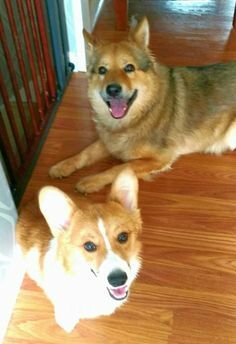 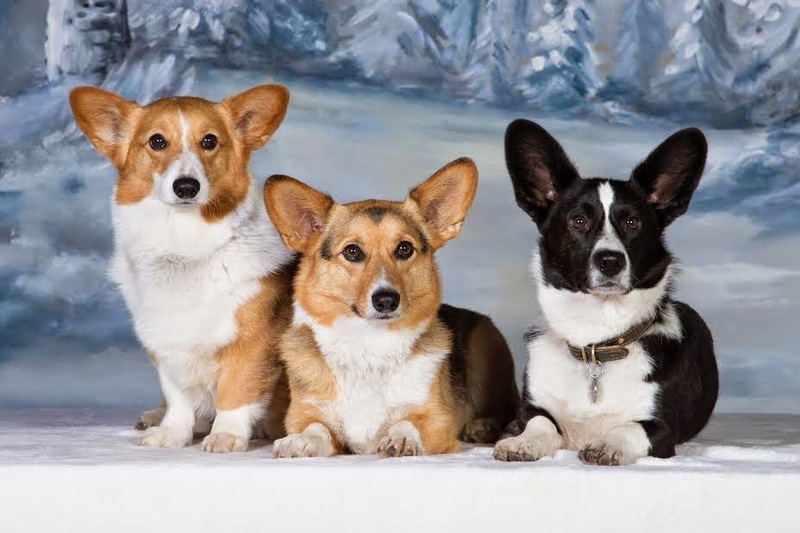 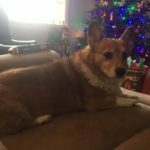 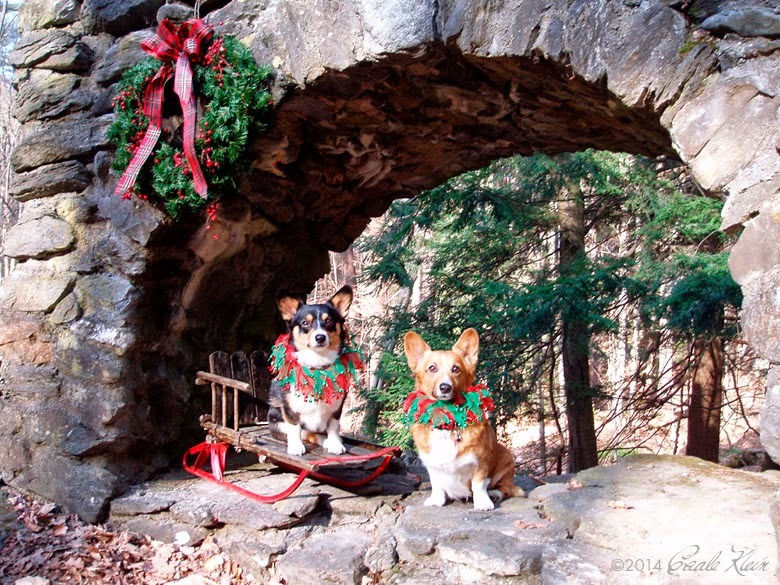 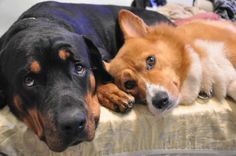 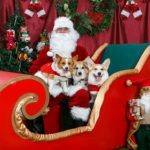 Note: There are five Disapproving Corgis in this post, one slightly befuddled Corgi, and an entertainingly skeptical Corgi who thinks waiting ’til Christmas for presents is obviously for schmucks. 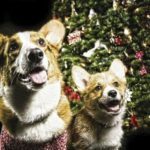 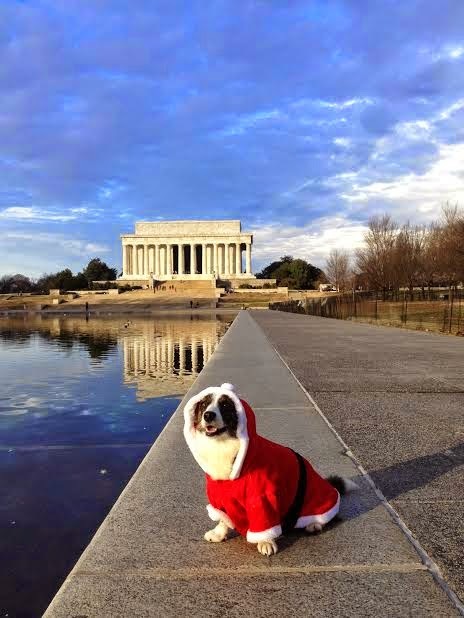 Also, this post contains photos of dogs in Christmas sweaters, Santa get-ups, ties, festive neck wreaths, draped in Christmas lights, and sporting seasonal headgear. 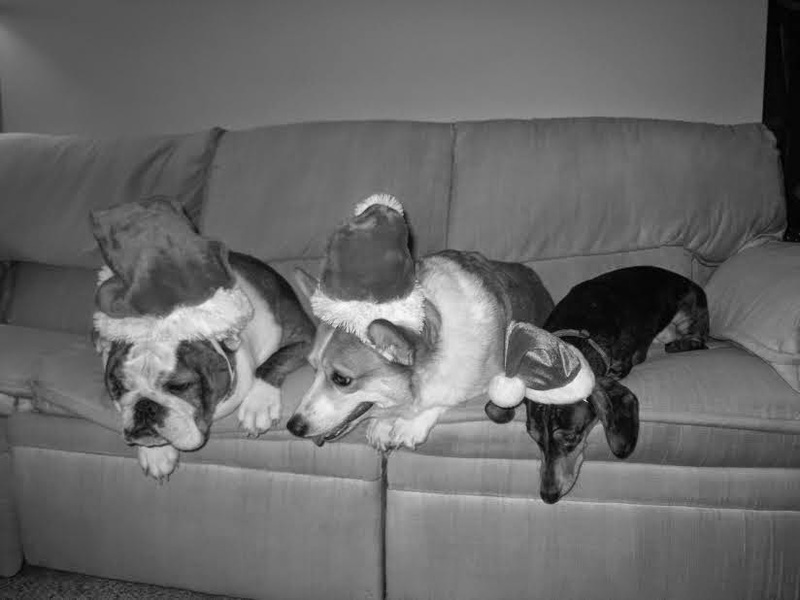 No Corgis were harmed in the making of these images. 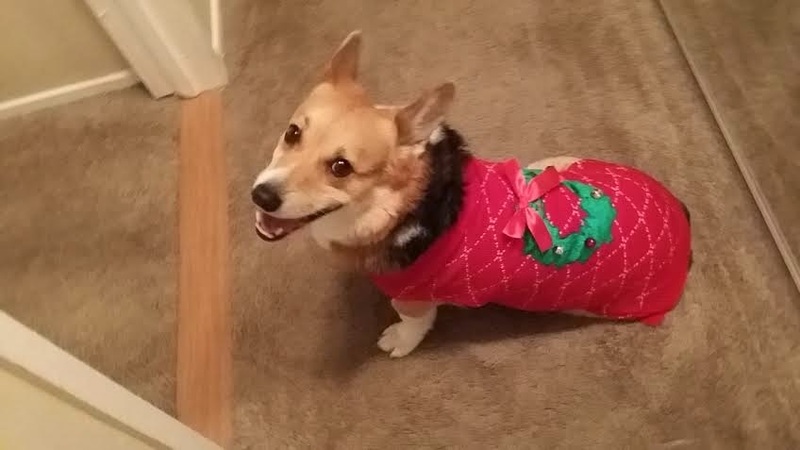 (Temporary embarassment doesn’t count). 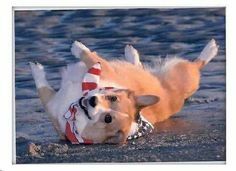 If you are unable to tolerate this much much silliness, please turn back now. 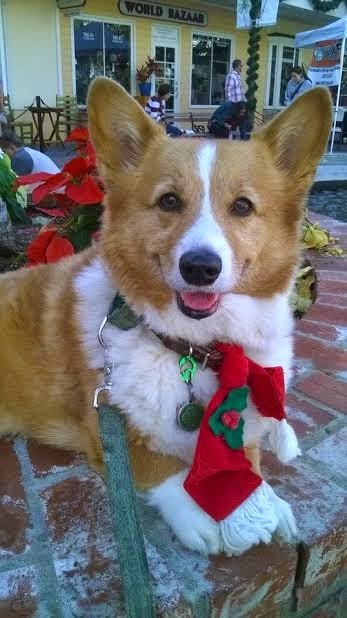 Kindly sign the Grinch Brigade guest book as you leave, so I can send you a mini calendar for 2015 featuring all the Disapproving Corgis. 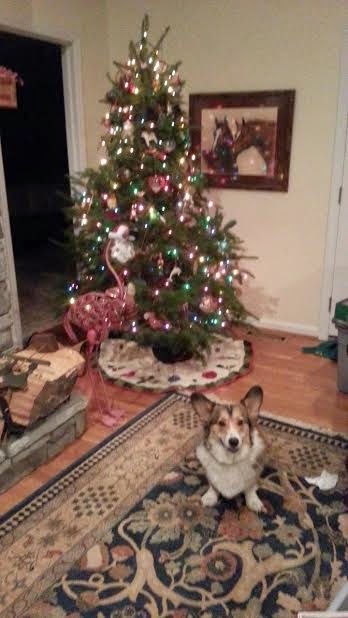 (Not so much a disapproving Corgi as a bewildered one). 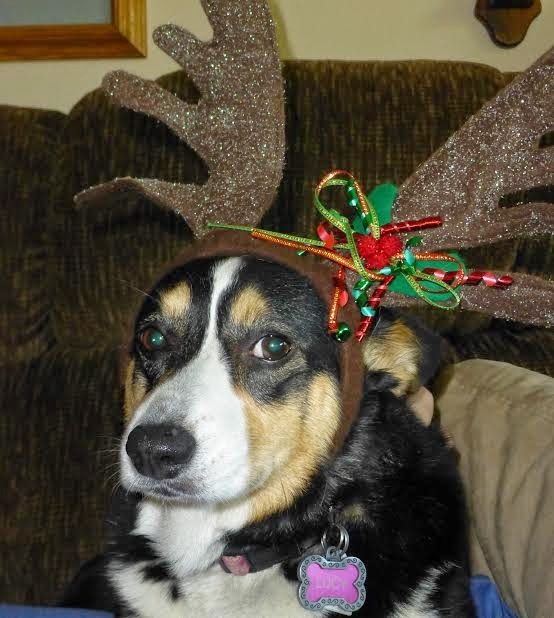 (aka Disapproving Corgi #5. 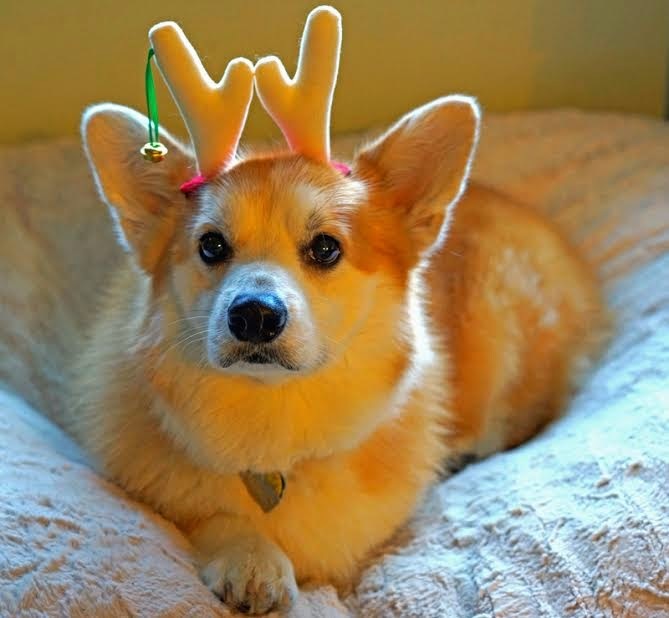 Quite possibly the King of Disapproval, rivaling the likes of Grumpy Cat, but much, much cuter). 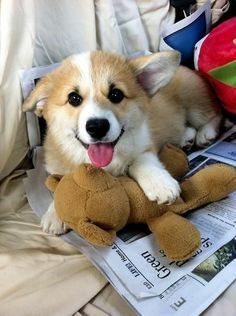 Kibo. 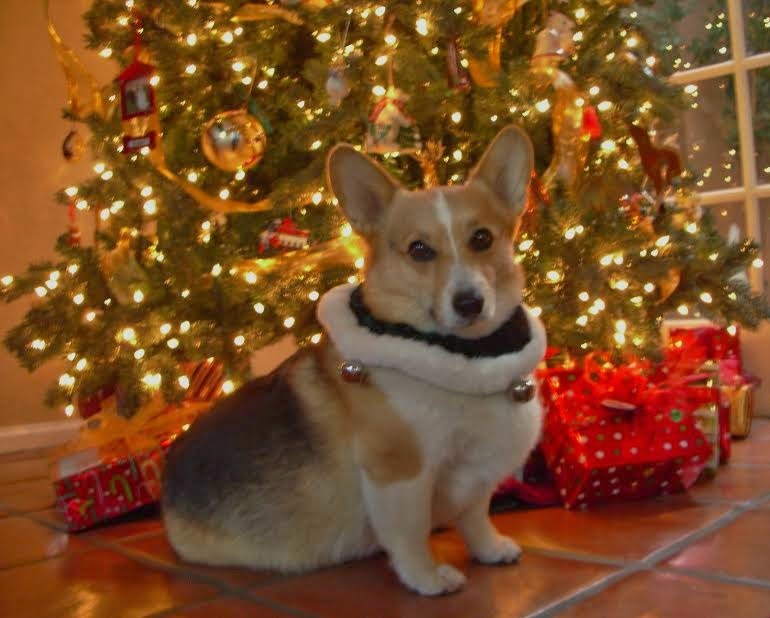 Looking skeptical about all this Christmas razzmatazz. 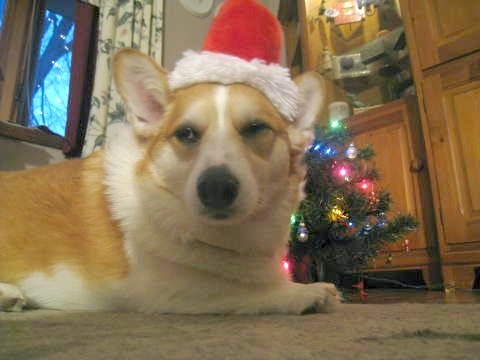 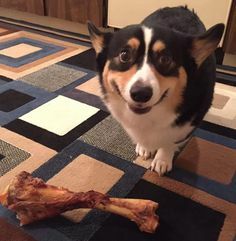 We shall call him Skeptical Corgi #1. 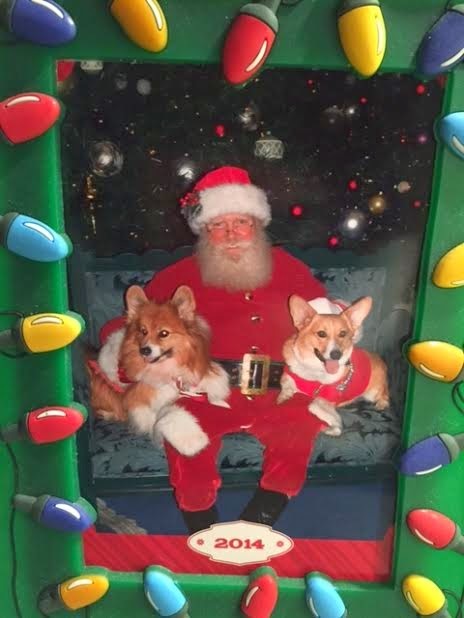 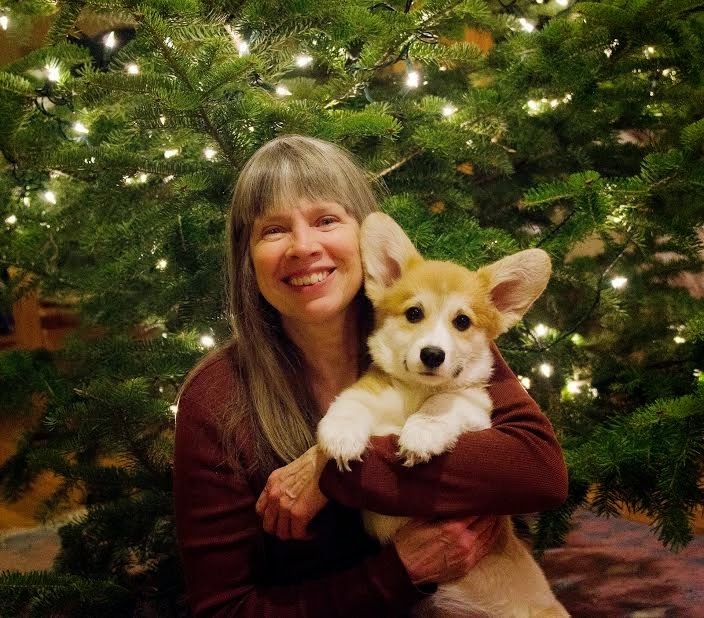 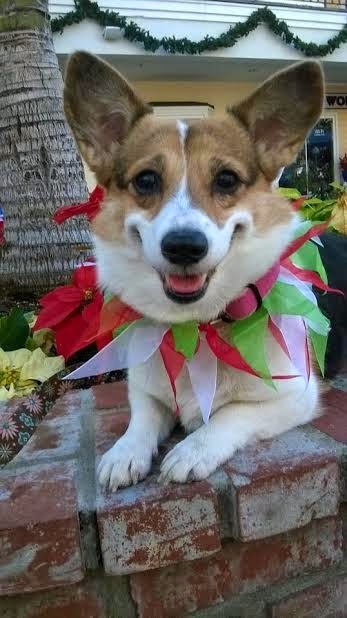 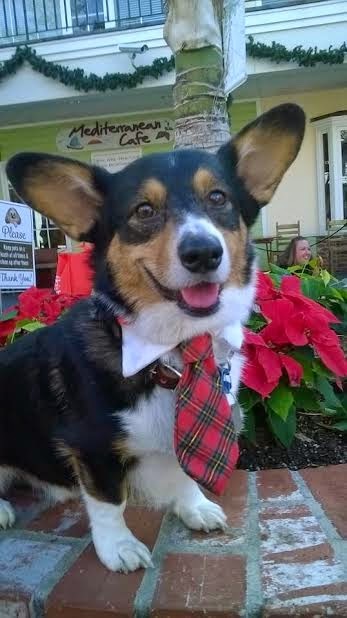 Keep those Christmas Corgi photos coming! 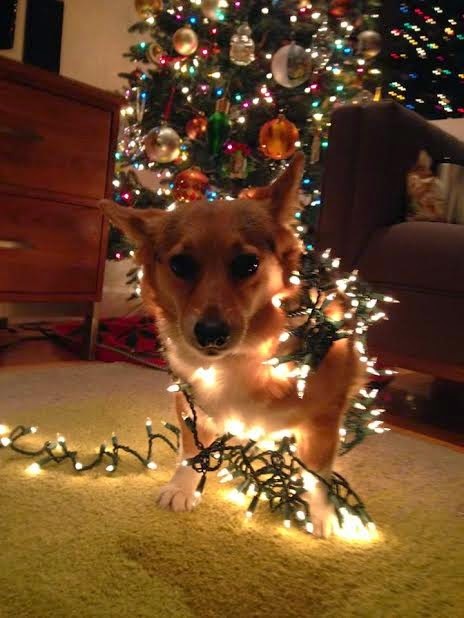 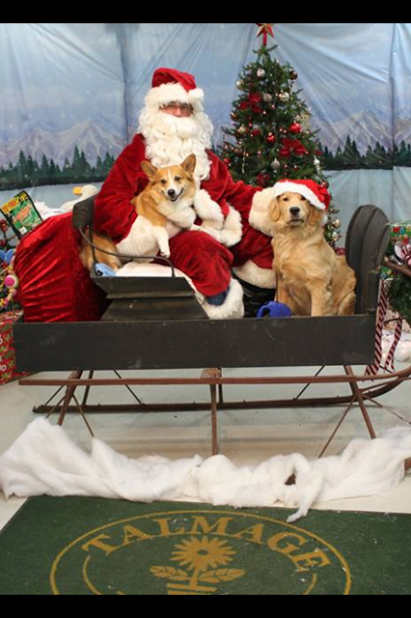 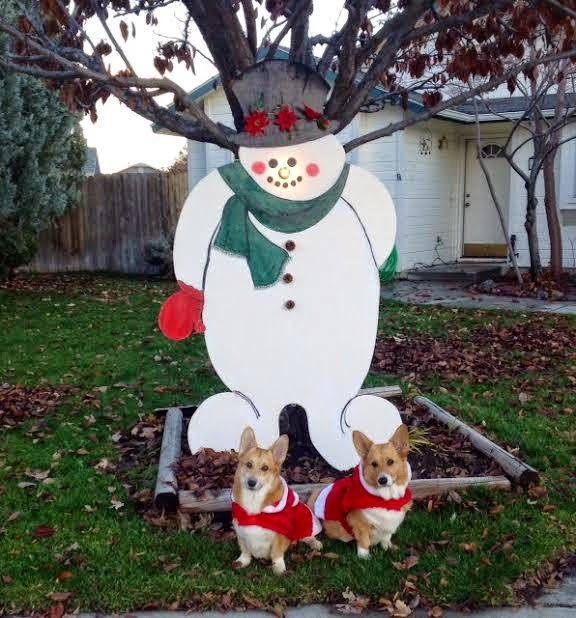 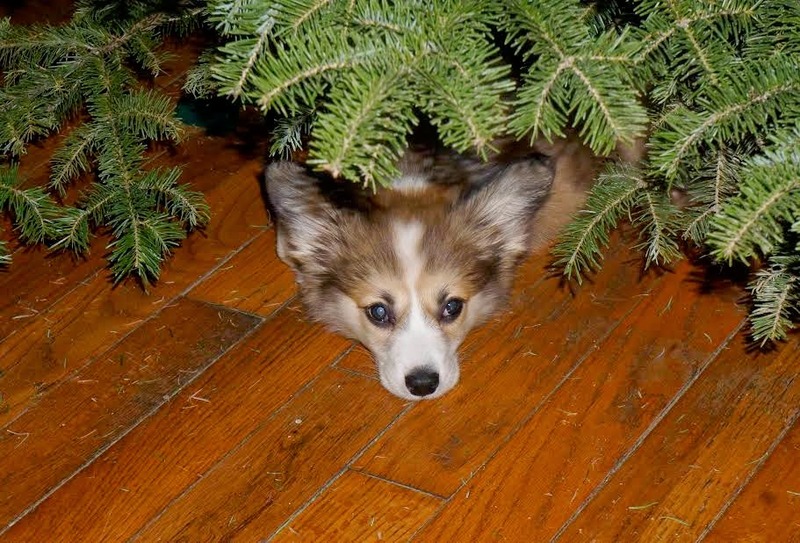 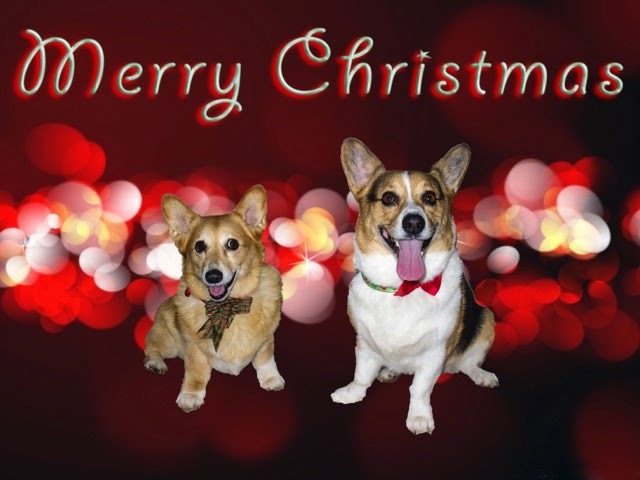 Send them to thedailycorgi@gmail.com and put “Christmas” in the subject line. 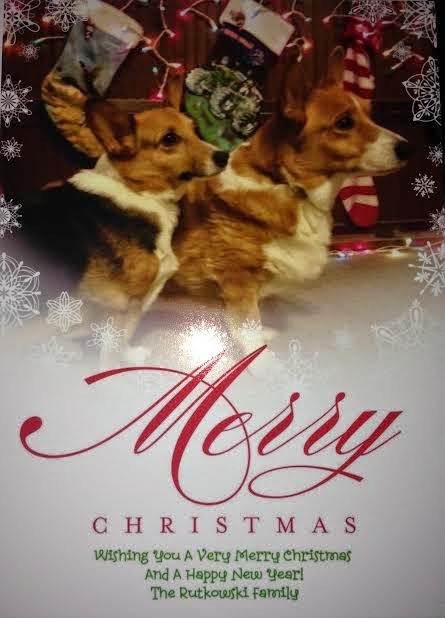 Already sent yours in and don’t see it? 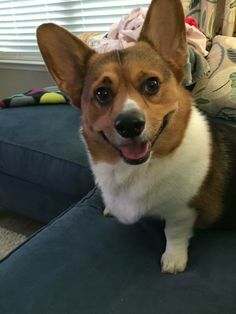 I’m making my way through all the submissions, so sit tight. 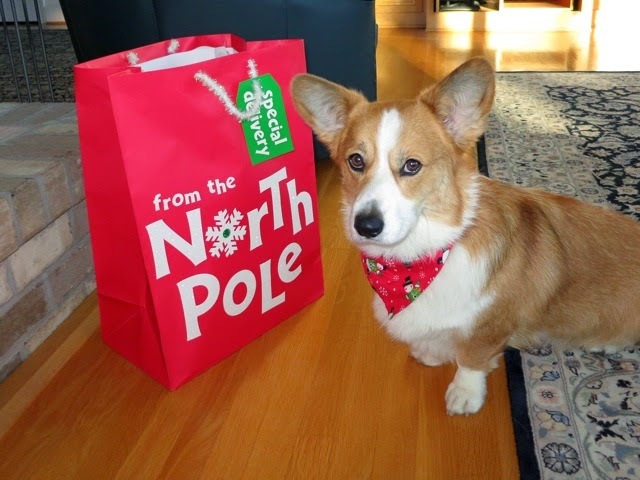 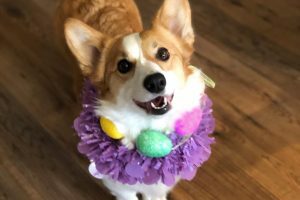 Got Hanukkah and a Corgi? 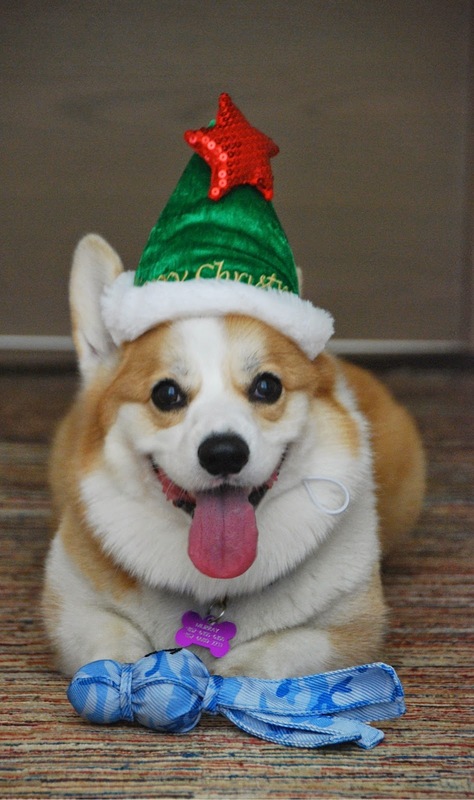 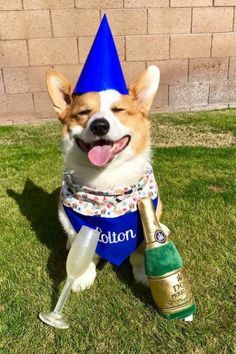 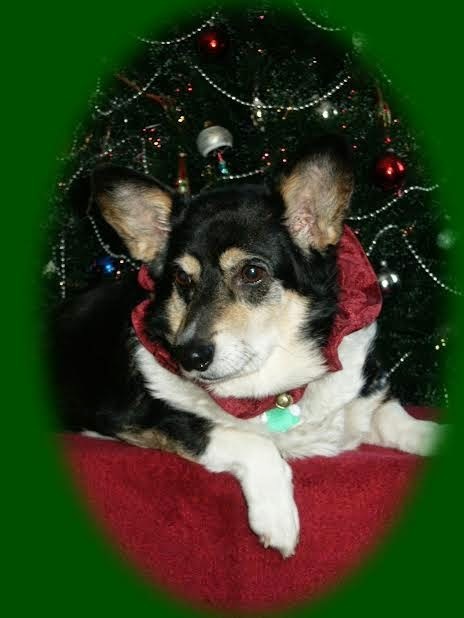 I’ll be running a Hanukkah special edition holiday Corgis post on Wednesday, December 17th. 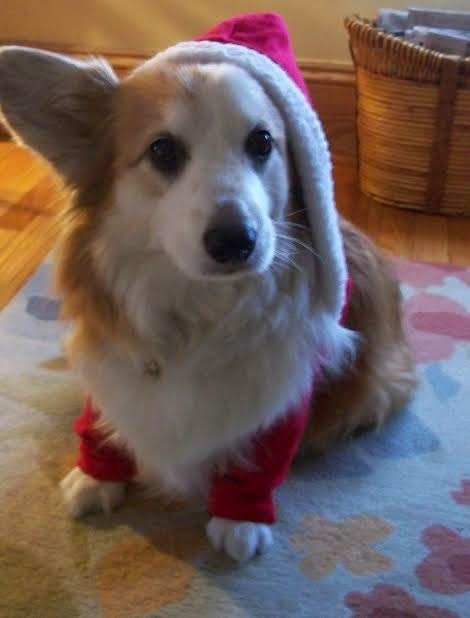 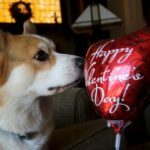 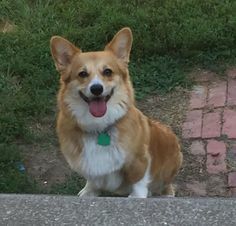 Get your photo in to thedailycorgi@gmail.com by 9 PM the evening before, and you might just see it then! 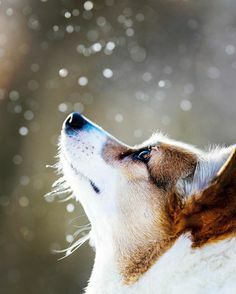 I want to see lots of photos for THAT feature!